**STAKE IN MAIN LISTING PHOTO NOT AVAILABLE (bride provided her own) - 3' stakes available for purchase only. 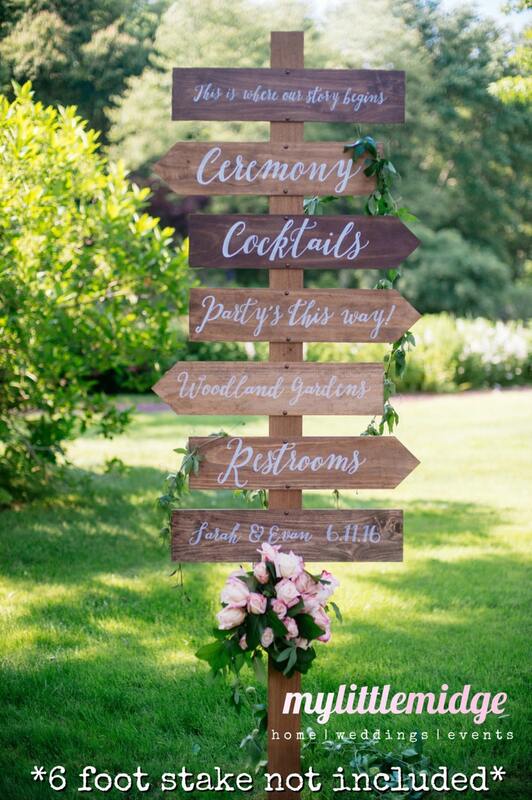 Made in a generous 24" size, these wooden directional signs are the perfect touch to help guide your guests to the necessary locations on your big day. 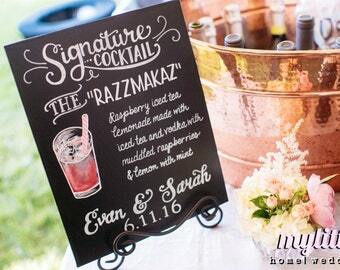 For a specific size for a specific sign, please message me and I will be happy to provide measurements. 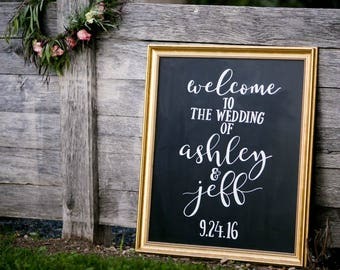 The "I Do/We Did" set includes TWO signs (The stake will include ONE 3 foot stake). Please note in "message to seller" which directions you would like each to face. Please let me know which directions you would like the top two to face. The bottom will be left with straight sides (no direction). SHIPPED ORDERS: if you choose to add a 3' wooden stake, your directional will NOT be assembled. I will drill holes and include all necessary hardware/markings in order to assemble yourself, but shipping an assembled directional would be too much liability and more susceptible to arrive damaged, even fully insured.